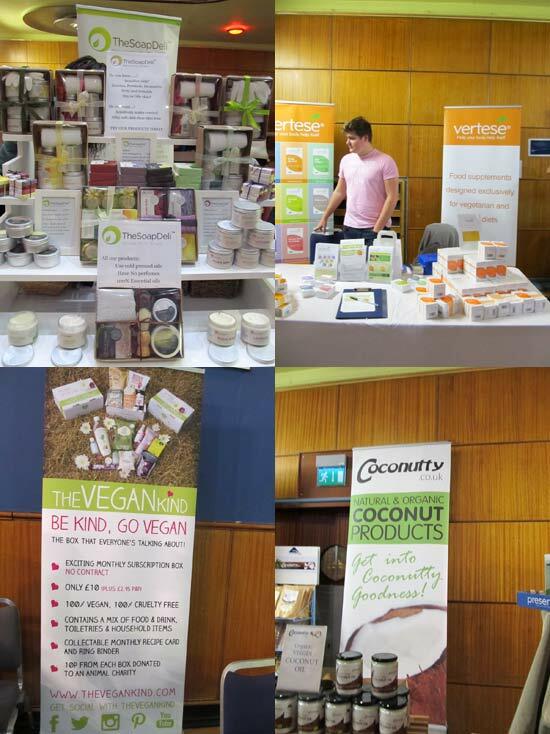 This weekend I attended West Midlands Vegan Festival which took place in Wolverhampton and it was the first time for me to attend this kind of event. Just to mention, I am not a vegan, but I eat mostly vegetarian food with seafood and fish on a menu once or twice a week. It happens that some of the foods I eat are also vegan, but also some of the natural beauty products I use are suitable for vegans. I attended this festival to discover more natural beauty brands, health foods, but also to learn new things. There was several interesting and inspiring talks scheduled throughout the day and you could also get new ideas for your meals by attending one of the cookery demonstrations. Unfortunately, I couldn’t make it to any, as the talks I attended were at the same time as the cookery demos I was interested in. I really want to know what I missed! Have you attended? I would love to hear what I missed! I had a really busy day at the festival, which started with queuing at 9.35am before the doors opened. I really wanted to be one of 200 people who will get a goodies bag and I got it! After I started queuing the queue tripled in size, so I was really lucky.. Once I got in I managed to get a few more samples from one of the stalls and you can see below what freebies I managed to bring home. During the day I came across brands I am familiar with such as Koko Dairy Free, Heavenly Organics Skin Care and Lush but I also noticed brands I’ve never heard of before. 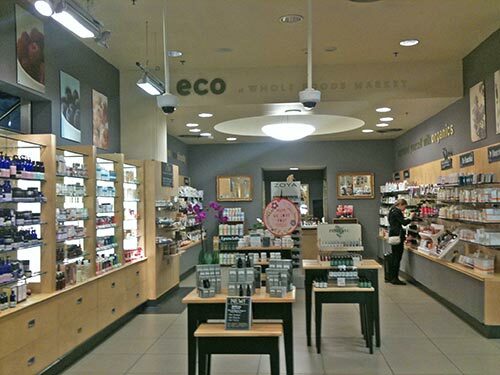 When it comes to natural cosmetics brands, I came across The Soap Deli, where I bought some soaps to try from; then I stumbled upon Tropic Skincare, which seemed like a good brand, but they didn’t have small samples which I could buy. I’ve also talked to girls from Bohemian Chic Minerals who were behind all-natural mineral foundations and eye shadows. After I got home I ordered a sample of their natural foundation online to test it as they didn’t have samples for sale at the festival. I actually came across so many companies which they don’t do samples and travel sizes which is really off-putting as I don’t want to buy a full sized product before trying a sample and see how I get on. 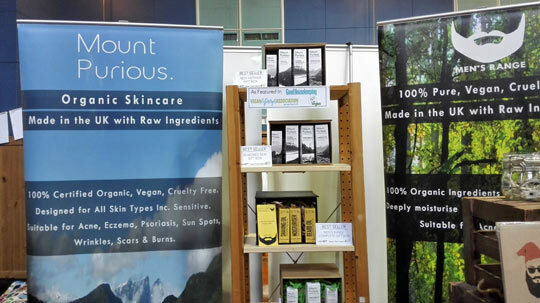 There were quite a few small natural beauty brands at the festival and another one which seemed worth a try was Naturally Made for You. They had some lovely body butters, which I may consider buying in the future. There is free delivery online if you spend more than £35. They also do some nice gift sets. Non-beauty brands which I haven’t heard of before included Hempish (clothes made of hemp), Vertese (natural supplements) and I saw a stall where they were selling Benevo dog food (animal friendly), but I am not sure what company that was. I’ve also come across vegan subscription box, The Vegan Kind, worth considering for some. There were different companies providing vegan food at the festival and for my lunch I decided to have a small vegan burger. It was ok, although I didn’t feel full after that. There was a choice of different types of vegan pies from different caterers, but they weren’t necessary very healthy – one of the companies used margarine in their pies! Who uses margarine anymore?? That’s really bad..
What I saw a lot of was cakes… and chocolates. Vegan cakes and desserts which looked really sickly and quite processed vegan chocolates. I couldn’t resist and I decided to have a piece of apple and peach crumble which was really nice. Yes, it’s my weakness and I know sugar is bad, but sometimes… only sometimes I want to have a cake! There were lots of interesting talks scheduled throughout the day, but I couldn’t attend every single one as there were 2 talks every hour, both in different rooms. At the end I decided to attend the talk about hemp and living foods. Tim Barford from Yaoh did the talk on hemp and I found it very interesting. I learnt some things I didn’t know about before. It’s interesting to know that hemp doesn’t require pesticides and fertilizers so basically all the hemp is organic, although not certified. Hemp is a complete protein with protein content in hemp seeds being 35%. It’s also easy to digest and you will find it rich in essential fatty acids too. I think I will do a blog post on hemp in the future, as it’s much more to say about it. During the talk Tim demonstrated his favourite hemp smoothie recipe and the smoothie basically consisted of a banana, strawberries, hemp, some kind of juice (not sure what it was) and I think that’s it, unless if I missed some other ingredients. The other talk I attended was by Pat Reeves, nutritional therapist, world champion powerlifter and an author of A Living Miracle. Pat talked about the power of living foods and during the talk she shared some useful tips which I really appreciated. She is such an inspiration to all. By following a raw, living food diet, she has fought off her cancer and continues to help many people using up-to-date scientific techniques. You can learn more about her on this website. I decided to purchase her book A Living Miracle which I plan to talk about in a separate blog post. What was great about this vegan fest was also the entertainment. There was a variety of music throughout the day from different performers, such as Vegan Vampires, Ross Mayhew and FreeStar. What I really enjoyed watching during my resting time is a fantastic aerial display from Loretta Hope who peformed an awe inspiring aerial acrobatics. She is amazing and she’s been vegan for over 8 years! Have you attended the West Midlands Vegan Festival this year or any of the previous years? Or have you attended any other similar festivals? What was your experience? Such a great post Petra! I’m definitely going to look out for Vegan Festivals close to home. I believe there’s something similar in Bristol each year. It seems like you got a lot out of your day and I like how all the aspects of the vegan life were considered. 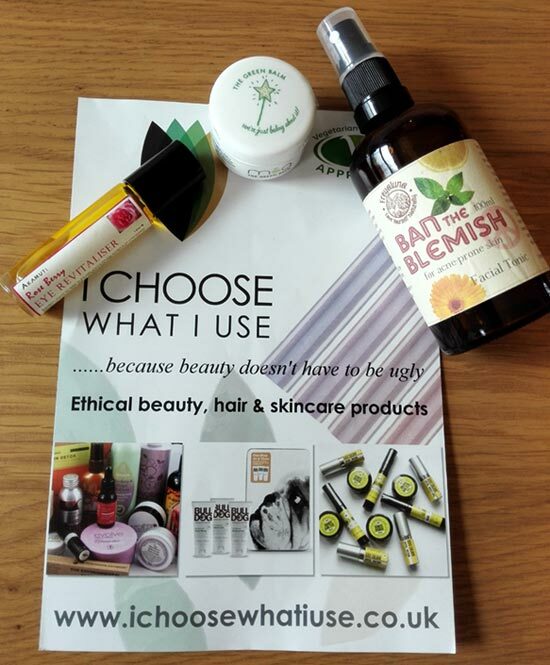 I’m especially looking forward to delving into all the vegan beauty brands out there – I’ve seen quite a few posts featuring The Vegan Kind, so will certainly explore this. Funny you mentioned margarine. I was surprised to see how many of the homemade products in one of my local vegan health shops contained sunflower oil. It struck me as a little behind the times! I am glad you liked the post! You should definitely attend a vegan festival in the future. At this festival I also received a free vegan magazine (The Vegan) where they list the coming events. There is North East Vegan Festival in Sunderland on 2nd Nov (not sure where that is, lol!) and then there is Animal Aid South West Christmas Without Cruelty Festival on 22nd Nov in Exeter. I now started looking for a vegan sign on my natural cosmetics. I can see that Lavera and Dr. Organic both are suitable for vegans for example. It seems that lots of companies still use cheaper fats in their products which are not good for you and although they are vegan, they are not necessarily healthy, so it’s always important to read labels or ask what they put in food..